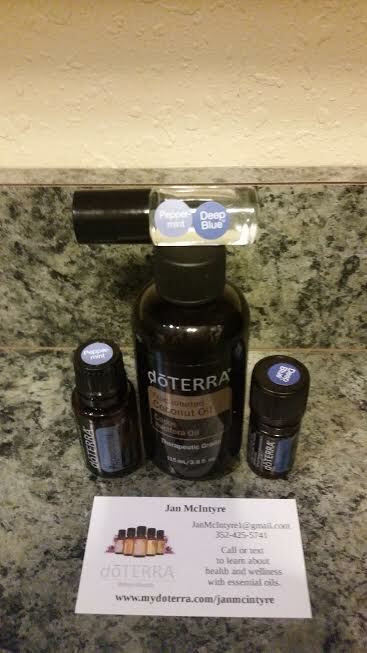 I have a roller bottle blend that is great for relieving head and neck tension. A friend of mine’s daughter tried it the other day and was amazed at how quickly she found relief. If you want to learn more about Essential Oils email me at TheGingerOptimist@gmail.com. Picture: Blend in a Roller Bottle made from Peppermint oil, Soothing blend, and fractionated coconut oil. This stuff is amazing. I’ve had so many friends tell me about how an essential oil helped them. This sounds like a wonderful solution for a headache. Essential Oils really have helped me and several of my friends.